The people of the United Kingdom have voted to leave the European Union, and it is a bitter pill for many of its friends, partners, and allies to swallow. This is particularly true for China, one of the rising global powers that has invested no shortage of time and energy in nurturing its bilateral relationship with the United Kingdom. For the United Kingdom and China, the ‘golden relationship’ and ‘golden decade’, as Chancellor of the Exchequer George Osborne trumpeted last year, are equally under threat. Chinese President Xi Jinping’s aspirations for a ‘united EU’ and constructive British role in ‘promoting the deepening development of China-EU ties’ now look to be fading memories. A Britain outside of the EU stands a chance at saving its valuable linkages to Beijing, but the work ahead will not be easy. 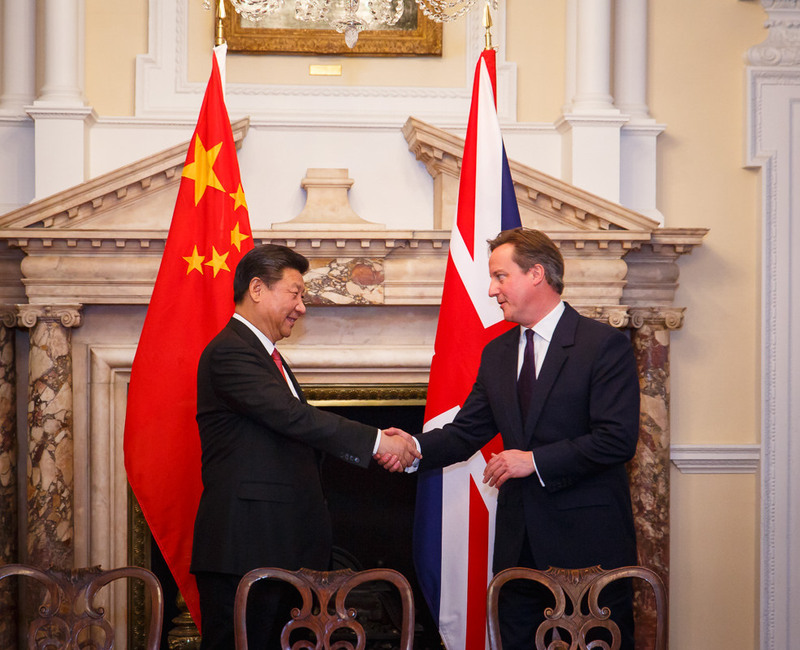 Historically, the UK-China relationship faced a fair share of challenges. China fought and lost two Opium Wars with Britain in the 19th century, resulting in the UK forcing the Chinese to open their borders to trade, including in the narcotic derived from the Asian variety of the poppy flower. The Qing dynasty staunchly opposed the opium trade networks, going so far as to confiscate and destroy much of the drug. One of Britain’s first acts of war in response was to occupy Hong Kong; and, just a few years later in 1841, Hong Kong was formally ceded to the British and the first Opium War was formally ended through the Treaty of Nanking. It was only in 1997 that Hong Kong returned to Chinese control, a transition with continued ripple effects nearly twenty years later. More recently, the UK-China relationship suggested that such historical troubles had been shelved in order to pursue mutually beneficial ties. China has invested more than US$40 billion in the UK, creating more than 6,000 jobs; a further $60 billion in trade deals were signed during Xi’s state visit last fall. When China kicked off its Asian Infrastructure Investment Bank (AIIB) in early 2015, the United Kingdom broke ranks with the United States in stepping up as a founding member of the institution. At a societal level, people-to-people exchanges also continue to flourish, with academic and cultural exchanges as well as tourism on the rise. But the referendum is a game changer. Brexit threatens what lies at the core of the UK-China relationship: Britain’s promise to serve as an ‘essential partner for an opening China, for the benefit of [both] peoples.’ The question ahead for British policymakers — and, importantly the captain that steers the ‘leave’ ship after Prime Minister David Cameron — is whether the United Kingdom can still be the western country ‘most open’ to China’s rise. It is a question that has serious reverberations for China’s economic standing at a time when its economy is slowing and it continues to search for global partners. Assuming the two-year process to leave the EU proceeds without hiccup or member state opposition, once the UK is fully divorced from the EU, China will lose its access to the European market via Britain. The United Kingdom is no longer an attractive extension of the ‘one belt, one road’ initiative to link markets from Europe to China by land and sea. For existing plans to develop the ‘northern powerhouse,’ boosting economies in Manchester, Leeds, and Liverpool, Britain cannot expect the deep pockets of Chinese investors to save the day. Additionally, with London as host to more than 40 percent of the global market for currency trading — and the second largest offshore centre of renminbi — it will be difficult for the City to retain its lustre and gateway banking position in Europe. While offshore yuan trading centres are largely dictums of Chinese policy, the Brexit will, at a minimum, yield a significant re-think of Beijing’s fiscal posture in the UK. The European Union has, somewhat ironically, already begun to assemble new pieces of its strategy toward China for the decade ahead. But for Britain, no such contingency plan appears to exist. The task ahead, for British policymakers navigating the tumultuous waters of leaving the EU must thus also entail prioritising and defining what and how the UK-China relationship will evolve in the post-Brexit era. A new UK-China trade agreement, according to a China Daily estimate, will take 500 British officials ten years to negotiate. Instead, both sides will need to turn to interim steps to preserve politico-economic ties and domestic interests. Furthermore, for Beijing, its largest advocate vis-à-vis the European Union trading bloc will soon recede to a cheerleader on the sidelines. Now, Beijing will likely face tougher restrictions from the EU without sufficient economic liberalisation. None of the aforementioned challenges that lie ahead for the UK and China as the Brexit moves forward are insurmountable, but much is still unknown. To mitigate the negative consequences for the UK-China economic relationship, policymakers in both London and Beijing must begin immediately to navigate the new terms and conditions of their relationship. The Brexit may indeed be a bitter pill to swallow, but the sooner China is able to stomach this seismic geopolitical moment, the more readily it can look to adapt its ties with both the United Kingdom and the European Union. Lauren is a first year PhD researcher in War Studies at King’s College London and the National University of Singapore. Her research explores Chinese President Xi Jinping’s strategy toward Taiwan. She is a fluent Mandarin speaker and a member of the Pacific Forum Young Leaders program at the Center for Strategic and International Studies. Prior to King’s, she was a research associate at the Council on Foreign Relations in Washington, DC. You can follow her on Twitter @lfdickey. Simon Denyer, ‘Britain is bending over backward to prove its friendship to China,’ Washington Post (14 October 2015), https://www.washingtonpost.com/news/worldviews/wp/2015/10/14/britain-is-bending-over-backward-to-prove-its-friendship-to-china/. Andrew Bounds, ‘China’s Xi Jinping urges UK to stay in EU,’ FT (23 October 2015), http://www.ft.com/cms/s/0/df78cae4-797e-11e5-933d-efcdc3c11c89.html#axzz4CWfAzGhZ. ‘The Brexit result will have China worried,’ Time (24 June 2016), http://time.com/4381309/china-brexit-eu-trade-uk-economy/; ‘China and Britain head into golden era of relations,’ The Telegraph (20 October 2015), http://www.telegraph.co.uk/sponsored/china-watch/politics/11936897/china-britain-relations-new-era.html. ‘UK announces plans to join Asian Infrastructure Investment Bank,’ HM Treasury (12 March 2015), https://www.gov.uk/government/news/uk-announces-plans-to-join-asian-infrastructure-investment-bank. David Cameron, ‘My visit can begin a relationship to benefit China, Britain and the world,’ The Guardian (1 December 2013), https://www.theguardian.com/commentisfree/2013/dec/02/david-cameron-my-visit-to-china. The European Union is currently China’s largest trade partner, sending US$389 billion worth of imports into the trading bloc in 2015. Andrew Browne, ‘A wrench in the U.K.-China relationship,’ Wall Street Journal (24 June 2016), http://www.wsj.com/articles/a-wrench-in-the-u-k-china-relationship-1466768571. Sarah Gordon, ‘Northern Powerhouse takes the lion’s share of FDI,’ FT (24 May 2016), http://www.ft.com/cms/s/0/63d695da-20e8-11e6-aa98-db1e01fabc0c.html#axzz4CWfAzGhZ. Enoch Yiu, ‘Brexit could dull London’s sheen as offshore yuan centre,’ South China Morning Post (19 June 2016), http://www.scmp.com/business/markets/article/1976870/brexit-could-dull-londons-sheen-offshore-yuan-centre; Mark Gilbert, ‘London Could Lose Its Euro Trading If U.K. Leaves EU,’ Bloomberg View (16 March 2016), https://www.bloomberg.com/view/articles/2016-03-16/london-could-lose-its-euro-trading-if-u-k-leaves-eu. ‘2016年6月24日外交部发言人华春莹主持例行记者会 [Foreign Ministry Spokesperson Hua Chunying’s Regular Press Conference on June 24, 2016],’ PRC Ministry of Foreign Affairs, http://www.fmprc.gov.cn/web/fyrbt_673021/t1375085.shtml. ‘英国回300年前原点，欧洲加速衰落 [England back to starting poitn of 300 years ago, Europe increasingly in decline]’, 环球网 [Global Times] (24 June 2016), http://opinion.huanqiu.com/1152/2016-06/9080633.html. ‘Joint Communication to the European Parliament and the Council: Elements for a new EU strategy on China,’ European Commission High Representative of the Union for Foreign Affairs and Security Policy, 22 June 2016. ‘UK vote to leave the EU blows the whole European plan wide open,’ China Daily (24 June 2016), http://europe.chinadaily.com.cn/world/2016-06/24/content_25841499.htm.